Here at Formation, our key aim, no matter how big the client or campaign, is to tell the story behind it. We want customers to know who you are, and the best way to bring this message to life is through the art of storytelling. We’ve proven time and time again that selling on story in a world saturated with content helps you stand out, sell effectively and establish yourself as a more relatable, trustworthy company. 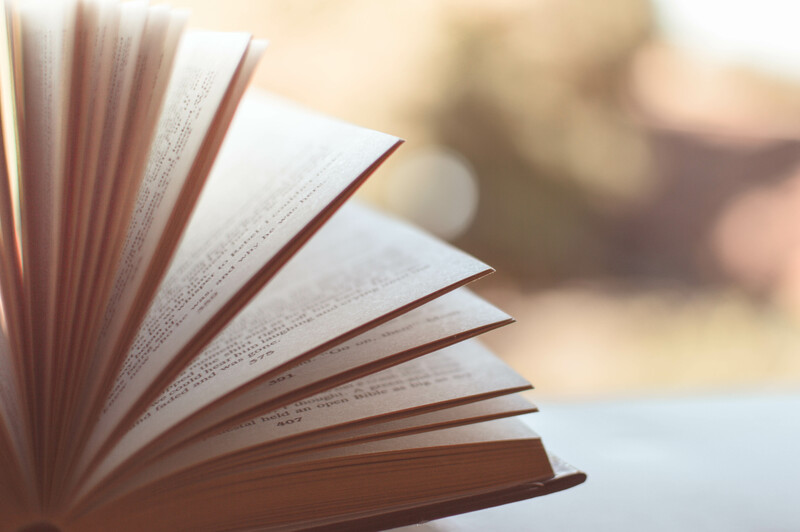 Telling a story may sound simple, but it’s a surprisingly complex task to undertake if you want to do it for business and get the most effective version of your story across. Humans have been telling stories for thousands of years, and there are established principles that can help you tell a story. Emotional Connection: Stories build an emotional connection between people. They help translate thoughts, feelings, and situations into ones we can all understand. No matter how big a business, behind it there is a story that starts with a person. Some large businesses use this very successfully; Bill Gates and Steve Jobs, in particular, showed their ‘humanness’ by telling stories of their failures as well as their successes. Nothing is more human than error, and it is important that you show that you too are human and relatable. Building Trust: Stories that people can relate to create an element of trust. When a person exposes their vulnerability, you perceive them as being willing to tell the truth, and all parts of the truth, not just the pretty successes. Weaving emotion into a story is excellent too; show how it made you feel to get your business off the ground, or what happened when something fell apart that you badly needed to work. Your reactions will help you seem more real and believable. Telling a story grants the storyteller a level of power and influence over the listeners. In delivering your story, you open the dialogue to the audience. This gives them the opportunity to interpret and act upon your tale accordingly (this reflects the importance of having a strong message or call to action within your story too). Stories are, in essence, a way of demonstrating the ways that power ebbs and flows between people. The teller can be perceived as in charge, but the more they tell, the more emotion poured into a story, the more vulnerable they appear, thus placing the audience at the heart of the story and in the seat of power. As a platform designed to fund business ideas, Kickstarter is the ultimate tool in storytelling for business. It relies on potential customers, not huge investors, believing in their product. Kickstarter allows business owners to put their stories out there, to show people why they believe in this idea, and then convince them to part with their money. It’s an idea built on the power of the customer and storytelling for business – and has proven its success multiple times. They make customers want to be part of the story. You’ve learnt why storytelling is important for business, but what’s the best way to tell a story? 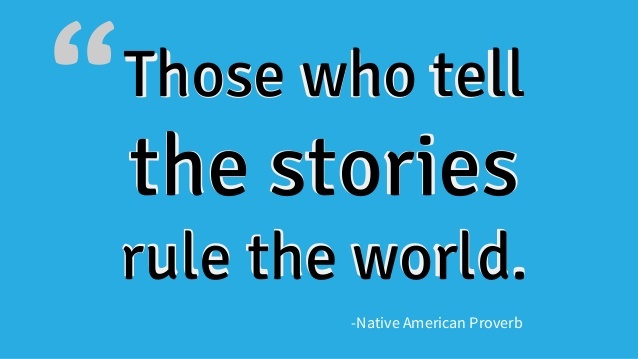 There is an old proverb that says ‘Those who tell stories rule the world’, or perhaps more aptly, Doctor Who once said ‘We’re all stories in the end.’ Bear in mind these two quotes when thinking about how to tell your story. Do not use PowerPoints unless showing images or videos. Don’t summarise your story into neat bullet points. Stories do have a set order (beginning, middle, end), but don’t box them up. Don’t rush or overexaggerate a story too much. People will stop believing, lose interest, or be unable to keep up. Remember to pause and breathe, especially at key moments to help let the tension build or the message sink in. Use emotive words to evoke feeling in your audience – it will help them connect with you and your messages. Enrich your story with emotion that people can relate to. People remember emotional feeling long after the situation has passed. Try and build this in. The more you tell a story, the more you’ll learn what works and what doesn’t. Sometimes, it really is a case of practicing. Always remember that this is your story at the end of the day, so tell it in a way that reflects who you are and your company values. You know your business better than anyone, so use this knowledge to your advantage. At Formation we want to help you tell your story through different media platforms and in a way that works for you. If you think you’d benefit from some expert help, why not contact us today to see how we can help? Formation are #proven to help tell stories; let us help tell yours.